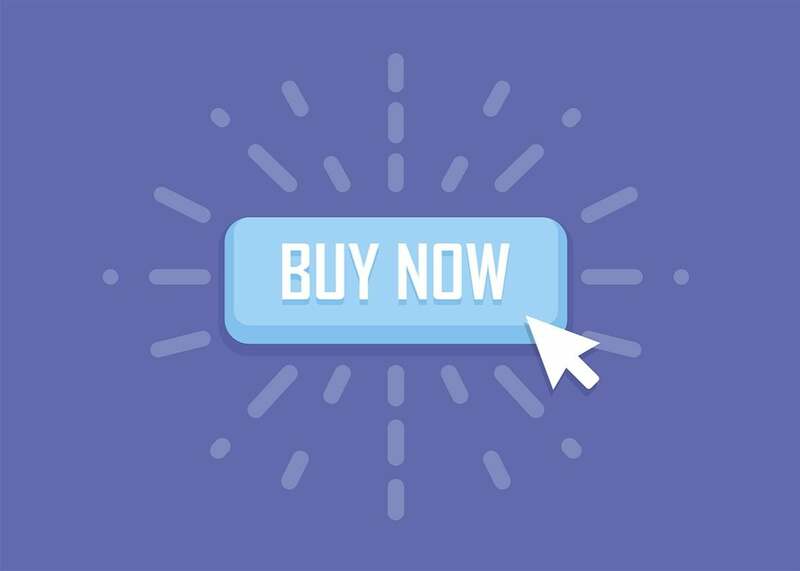 How consumers misunderstand buy-now buttons. If the Buy Now button is deceptive, what can we do about it? This article is part of the future of ownership installment of Futurography, a series in which Future Tense introduces readers to the technologies that will define tomorrow. Future Tense is a collaboration among Arizona State University, New America, and Slate. On Tuesday, Oct. 25, Future Tense will host an event in Washington, D.C., on how technology is changing the nature of ownership. For more information and to RSVP, visit the New America website. The multibillion-dollar digital media marketplace is built, in part, on a lie. Companies like Apple and Amazon entice their customers to “buy now” and “own it in HD.” But consumers don’t own anything at all, at least according to the license agreements that accompany those sales. Recent years have exposed the fault lines in our conception of digital ownership. Amazon has deleted purchased copies of e-books, including Orwell’s 1984, from the Kindles of its customers. Apple disables access to iTunes purchases when users move to another country. Google-owned Nest unilaterally bricked thousands of $300 Revolv home automation hubs. As Jason Schultz and I outline in our new book, The End of Ownership, copyright holders, device makers, and retailers have succeeded in undermining traditional notions of ownership. They have relied on a combination of expansive interpretations of copyright law, restrictive license terms, and digital rights management technologies. But they have also leveraged the power of language and our shared expectations of ownership. When it comes to physical products, we have a pretty good idea of what ownership means. If you own a vinyl record, you can lend it to a friend. You can sell your old VHS tape collection on eBay. You can donate your book collection to the local library or leave it to someone in your will. Or you could rent a storage unit and hoard to your heart’s content. No one will stop you. Through a lifetime of experience with physical goods, most of us understand intuitively what it means to buy things and to own them. Words like own and buy prime consumers to rely on these familiar concepts of personal property to understand their rights in digital purchases. But those engrained consumer expectations are a far less reliable guide for digital goods. Luckily, this question—how consumers actually understand their rights in the digital goods they buy—is one we can answer empirically. In a paper forthcoming in the University of Pennsylvania Law Review, my collaborator Chris Jay Hoofnagle and I surveyed nearly 1,300 digital consumers to find out. We created a fictitious online retail store that mimicked the design of popular sites like Amazon—most importantly the ubiquitous “Buy Now” button. 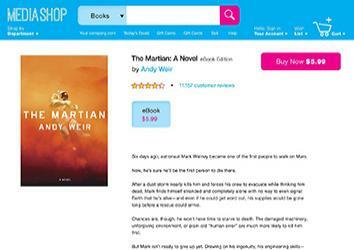 Our survey respondents could shop for digital books, music, or movies. After they chose a product, they reviewed the corresponding product page, which included a link to the site’s full license terms, cribbed from Amazon’s license. No surprise, just more than 1 percent of our consumers read those terms. Next, we asked respondents a series of questions about the rights they believed they acquired in their e-book, digital album, and digital movie. The results were striking. More than 80 percent believed that after clicking the Buy Now button, they owned it, could keep it for as long as they wanted, and could use it on the electronic device of their choice—rights that consumers are often denied when it comes to digital goods. What’s more, more than 40 percent of our respondents mistakenly believed they had the rights to lend and give away their digital purchases. Nearly 30 percent incorrectly thought they could leave their e-books, MP3s, and digital movies in their wills. And 16 percent believed that clicking the Buy Now button gave them the right to resell their digital goods. Even at the low end, these results raise serious worries about consumer deception. The Federal Trade Commission is charged with preventing the use of “unfair or deceptive acts or practices in or affecting commerce.” A deception case requires proof that a claim is likely to mislead consumers—but it doesn’t have to mislead most consumers. To violate the law, it only needs to mislead a “significant minority” of customers—as little as 10 percent or 15 percent. False-advertising law, after all, wouldn’t do much good if it only protected the savvy and the skeptical. Our survey shows that the Buy Now button easily clears that threshold. Unlike subscription streaming services like Netflix and Spotify, where consumers receive clear signals that their ability to watch and listen hinges on paying their monthly bill, the digital download market preys on consumers who misunderstand the basic terms of the deal. But not all misleading statements are deceptive under FTC policy. They also have to be important enough to affect price or purchasing behavior. If consumers knew the truth, would they have refused to buy the product, or paid less for it, or preferred an alternative? Our survey found strong evidence that the rights of lending, resale, and device portability matter to consumers. First, the vast majority of respondents said they preferred products that came with those rights. In fact, the preferences of digital-media consumers were practically indistinguishable from those of consumers of tangible media. We also asked respondents to put a dollar value on their preferences. Would they pay more for these rights? More than half said yes. Most respondents were willing to pay at least $1 above the current Amazon prices for e-books, MP3 albums, and digital movies, with an average price increase of $9.60. So if the Buy Now button is deceptive, what can we do about it? In our survey, we tested an alternative design, one meant to communicate as clearly as possible, in a way consumers could understand, exactly what they were getting for their money. We created a “short notice”—a brief, prominent, readable, bullet-pointed list of the rights consumers acquired, and just as importantly, the ones they didn’t. The short notice significantly reduced deception, and produced more accurate assessments of consumer rights. 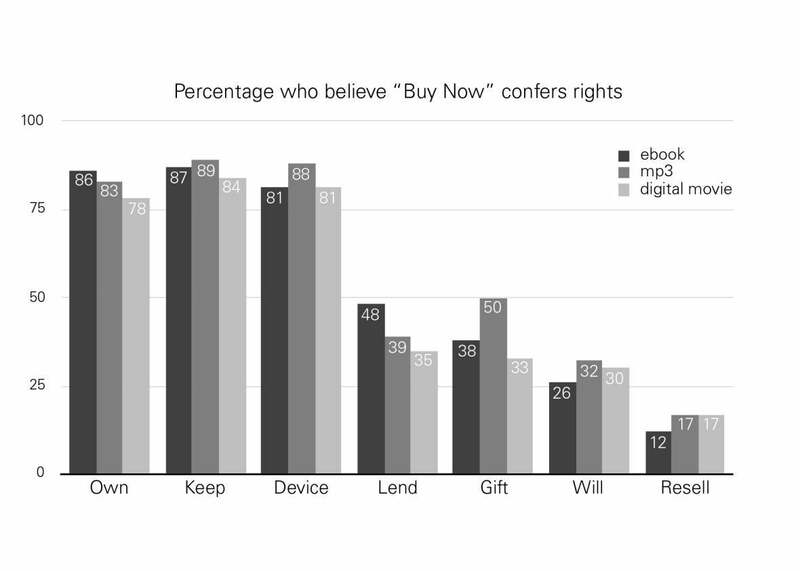 For e-books and digital music, we observed marked decreases in incorrect “yes” answers to our questions about the rights to lend, resell, give away, and leave digital goods in one’s will. Admittedly, the short notice was less effective for movies, suggesting that our design has room for improvement. But overall, the short notice is a promising, simple, and inexpensive solution to the deception problem created by the Buy Now button. If retailers and copyright holders don’t take that lesson seriously, regulators like the FTC have an obligation to protect the interests of the public.